Answer. I don’t know. Thomas Young was a director of the London & Birmingham Railway and also of the London and South Western Railway. He was a man with some money and he probably made a lot of money out of his investments. Unfortunately there were (and still are) many Thomas Youngs and there were several well-to-do families named Young prospering in the 19th century. Any one of several could have produced our Thomas Young and he remains a shadowy figure. Young Street, a single row of terraced houses was built in Wolverton in the 1840s and lasted 120 years until it was pulled down in the 1960s. There is now no trace of it, rather like the man it was named after. Author Bryan DunleavyPosted on 11th May 2011 Categories Little Streets, Young StreetLeave a comment on Who was Thomas Young? 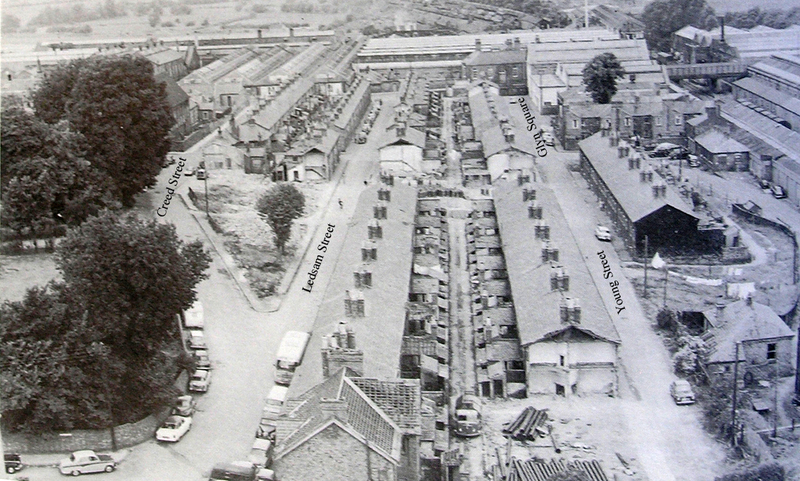 The Little Streets was the name given to a group of Wolverton’s first streets which survived into the 20th century. It is likely that the term only originated after the 1890s when larger houses were built westward to Windsor Street. 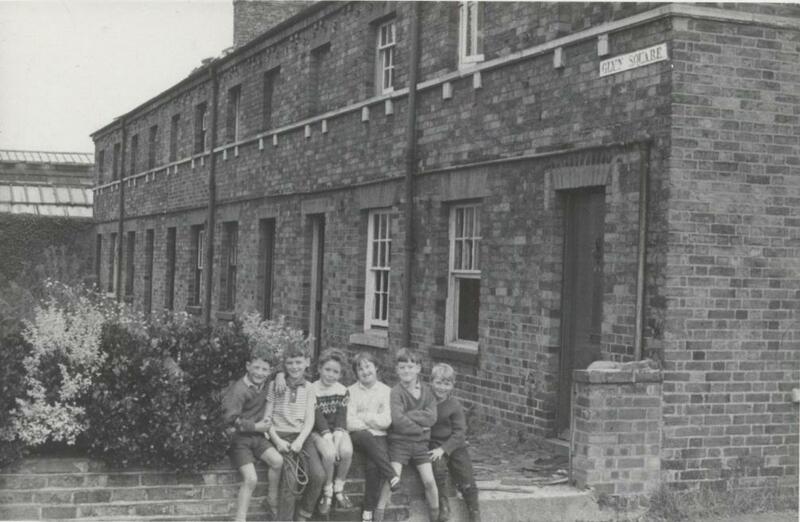 The were four of them: Creed Street, Ledsam Street, Glyn Square and Young Street. The streets were built in the 1840s. Two aerial photographs here provide a good enough description. 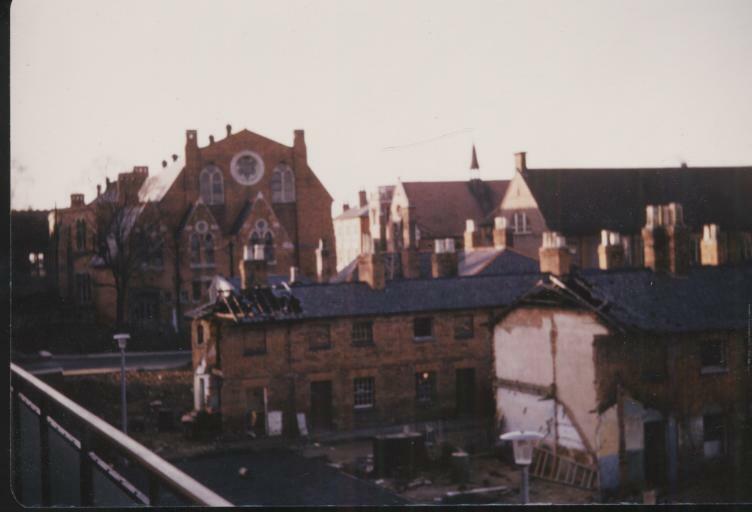 The top photo shows them at the centre-left edge, and the lower photo was taken from the new Gables Tower at the time of demolition. Hers is an interesting photo taken from the Gables Tower at the time the “Little Streets” were being demolished. 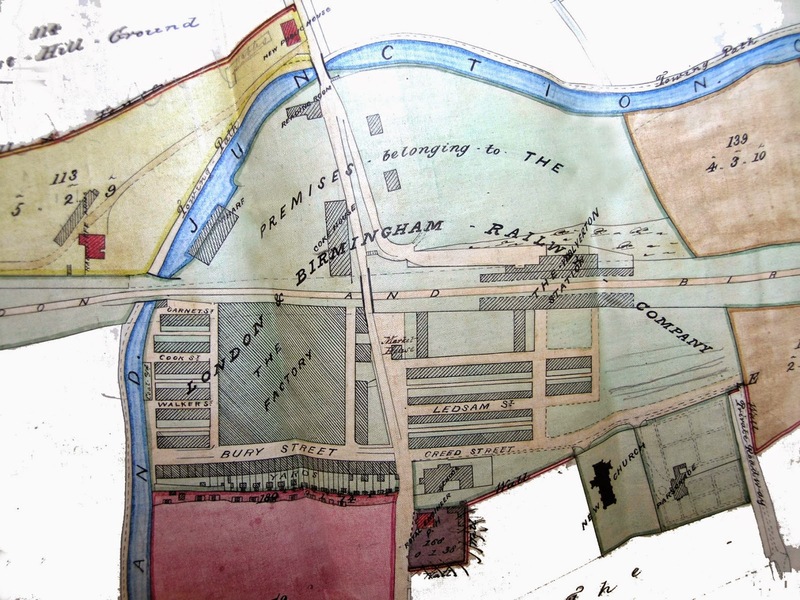 It’s a valuable record because there are not many visual records surviving of this part of Wolverton. These houses were built between 1840 and 1848 and represent the second phase of Wolverton’s development. By late 19th and 20th century standards the houses were very small and this is probably why they were called the “little streets”, but by the standards of the 1840s they were considered good. The Creed Street terrace of 20 cottages and the equivalent side of Glyn Square were built with two rooms downstairs and two rooms upstairs with a lean-to scullery at the back. The scullery was usually used for washing and cleaning but in the 20th century they were usually fitted up with a gas cooker. In between these two terrace was the northern section of Ledsam Street, with smaller units that rented out for less money. The southern end of Ledsam Street and Young Street was built a few years later and were slightly better quality than the earlier ones. I have overlaid this photo with the street names. In the foreground you can see the roof of the “Tank House” being dismantled. This originally supported a water tank and from the mid 1850s housed the public baths. In the 1890s it was converted into a residence for the schoolmaster and new public baths were built on the Stratford Road. On the right hand side, the house in the foreground was known in my days as “Stable Cottage”, I think. I may be wrong about this. 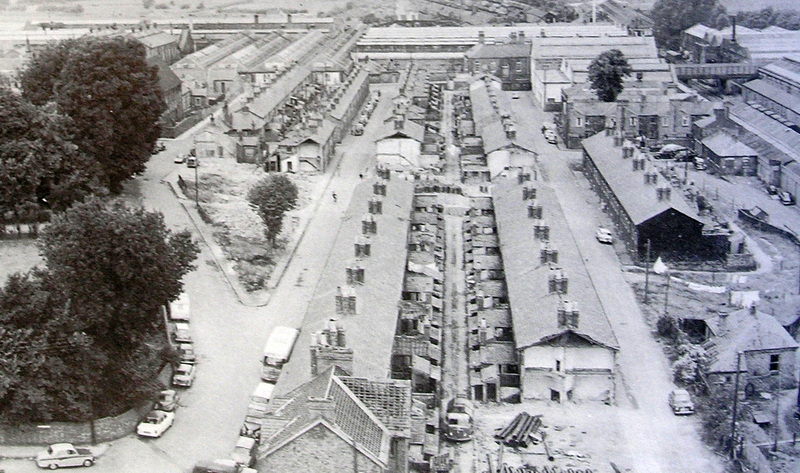 To the right of the picture are the buildings from the second station and refreshment rooms. After 1881 it became a Goods Depot. This may still have been the case at the time of this photo. In the distance you can see the works buildings – most of which have been pulled down for the Tesco car park and redeveloped as the Tesco Supermarket. 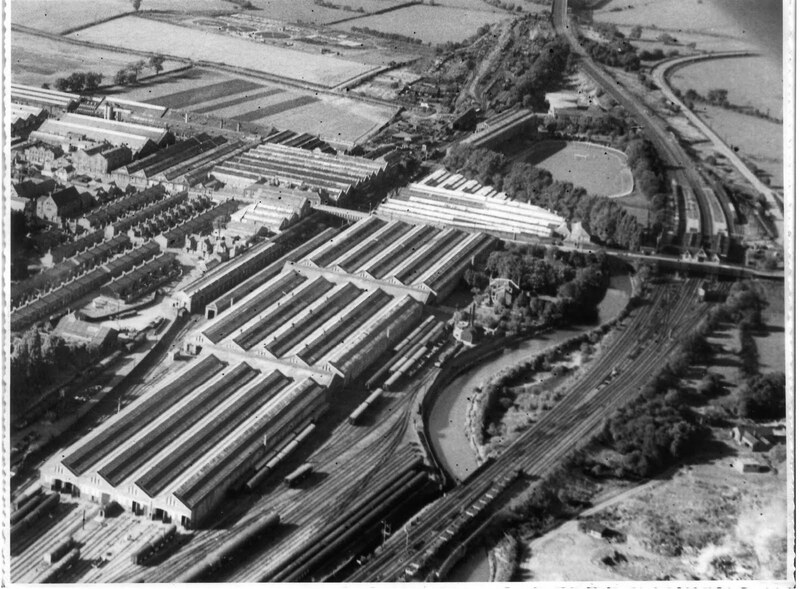 McConnell Drive follows the line of the railway, under the Stratford Road bridge, top right.